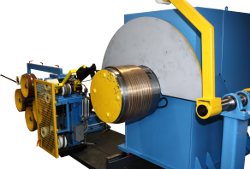 The Berger Gruppe presents a big range of machines for the processing and refining of steel strips and workpieces. 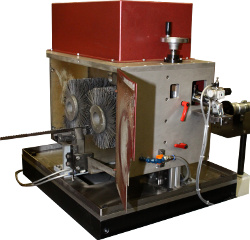 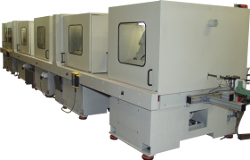 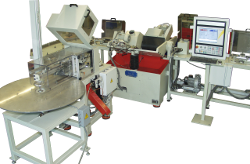 The rotary table grinding machines achieve flat grinding of knives, hand tools and coils. 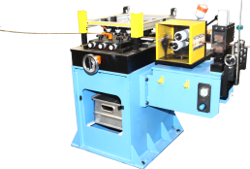 Steel strip grinding machines are designed for straight and serrated grinding of steel strip. 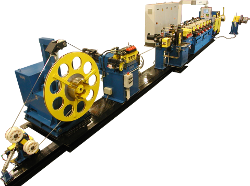 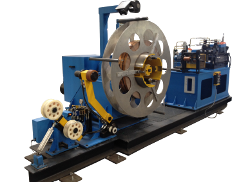 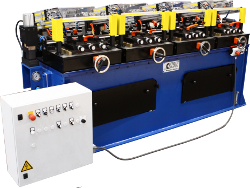 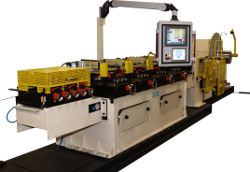 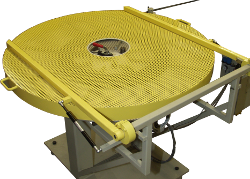 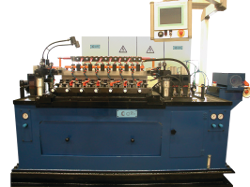 Strip processing machines are made for strip edge trimming and traverse winding of metal strips. 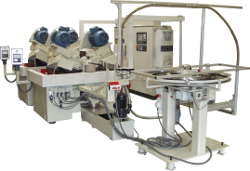 The double-sided grinding station machines technical blades, doctor blades, surgical blades and similar workpieces on both sides. 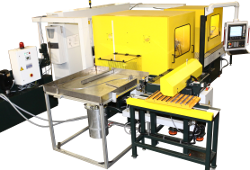 The BSM3000/C-CNC work station is designed for grinding of kitchen knives and similar workpieces. 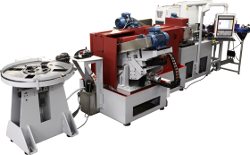 The steel strip grinding machine of the series BSM1500/TT-CNC is designed to deburr finish ground blades. 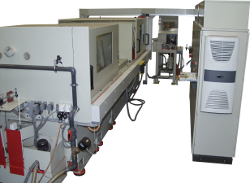 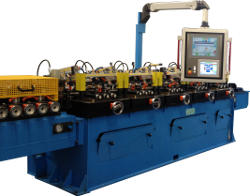 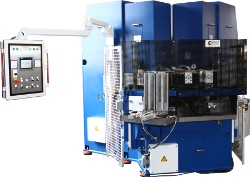 The strip grinding line of the series BDG1500-CNC consists of five vertical grinding stations and is designed for the production of doctor blades and similar workpieces. 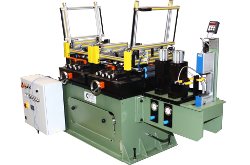 The steel strip grinding and serrating station BSM1000/E-CNC is designed for one-sided serrated edge coil grinding for the production of hair clipper blades and similar workpieces. 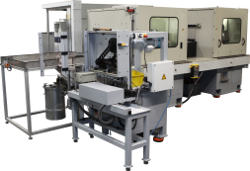 The grinding machines of the series BGM1500-CNC are designed for one- or double-sided grinding of doctor blades, knives for the food industry and similar workpieces. 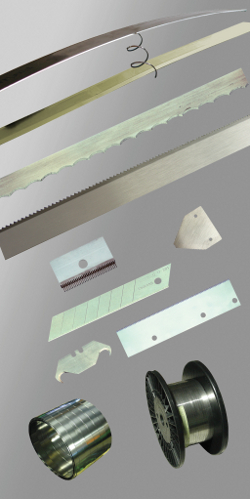 The brushing and deburring station BSM3000/SP-CNC machines hair clipper blades, doctor blades, serrated machine cutting tools for food industry and similar workpieces. 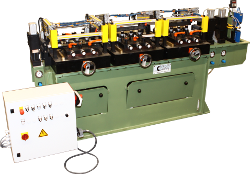 The solid steel strip grinding and polishing station of the series DEB is configured for the machining of the classic double-sided razor blade with three angles.